Let Billy Graham guide you through the Advent season with his inspiring Christmas devotional including poetry, excerpts, scripture, hymns, and devotions. Perfect for keeping your focus during the busyness of the Christmas season. Rejoice in the miracle and meaning of Christmas as Billy Graham celebrates the Saviour's birth in this thoughtful Christmas devotional booklet. Explore the blessings of hope, joy, love and peace that believers can experience as they keep their eyes on Jesus. Included are excerpts from the bestselling This Christmas Night, hymns, Scriptural accounts of Christ's birth and beautiful poetry by Ruth Bell Graham. It's perfect for keeping your focus on what's truly important during the busyness of the Christmas season. God's Blessings Of Christmas by Billy Graham was published by Thomas Nelson in September 2013 and is our 10305th best seller. 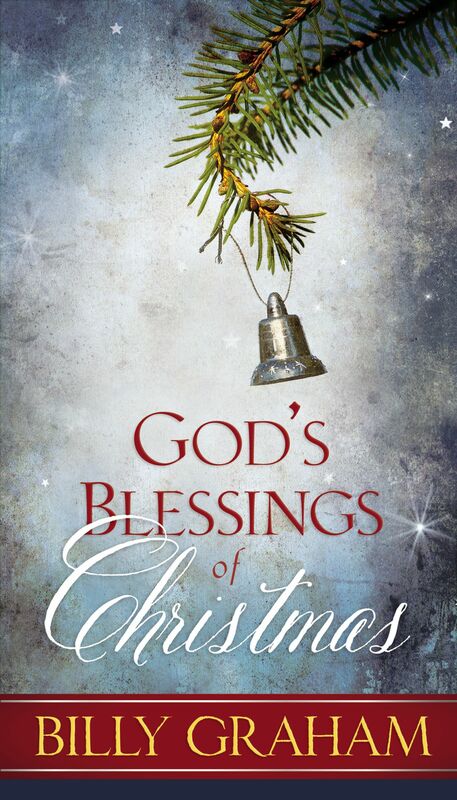 The ISBN for God's Blessings Of Christmas is 9780529104335. Be the first to review God's Blessings Of Christmas ! Got a question? No problem! Just click here to ask us about God's Blessings Of Christmas .